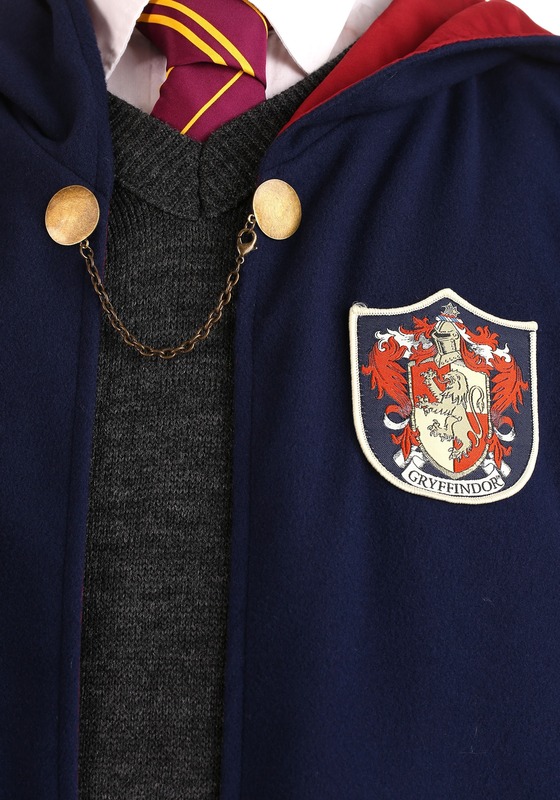 There's a lot to be happy about when you're sorted into Gryffindor! We've been intrigued by other houses, of course. After we got over the idea that Hufflepuffs were nothing but duffers, we realized how sweet and down to earth they all were. They're the kind of people you want around when you're trying to live a healthy and wholesome lifestyle with a little magic in the mix. Slytherins have a bad rep but in the end, they're simply ambitious. 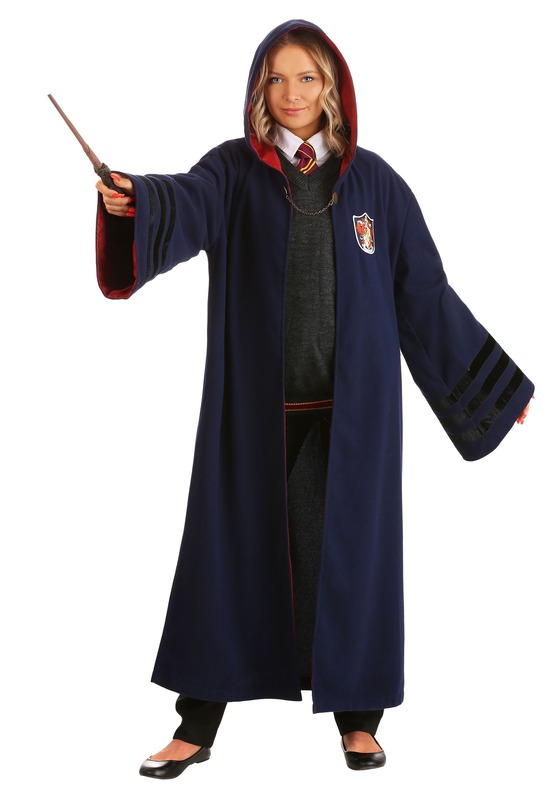 And Ravenclaws... well, who doesn't want to be the brains? 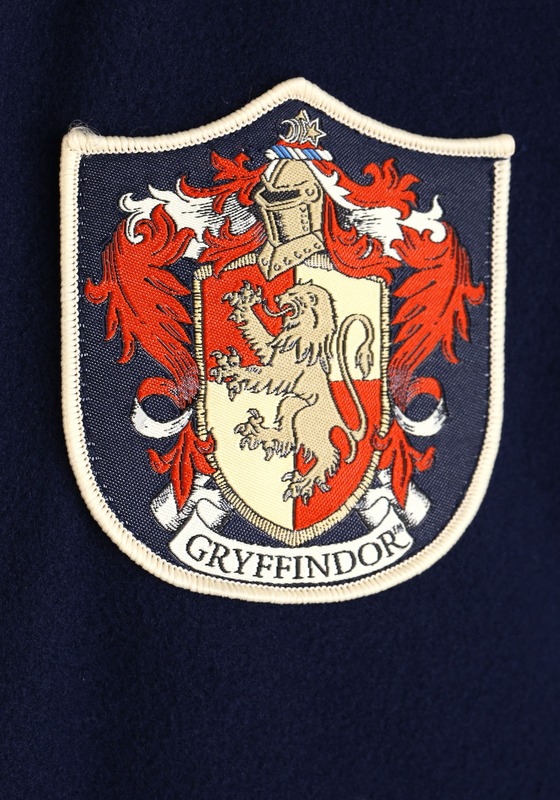 But in the end, we all know that Gryffindors have more fun. Their brave nature and proud spirit let them break the rules. 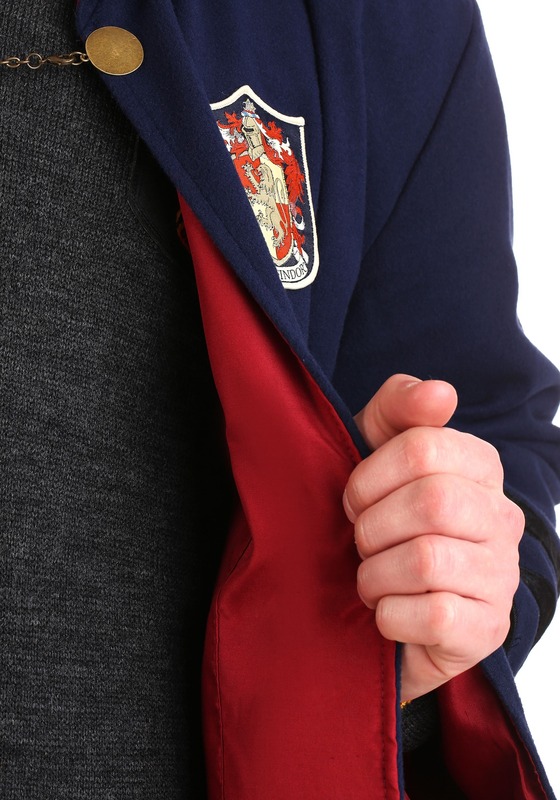 More importantly, the Gryffindor rep lets them get away with breaking said rules, no wonder why that Gryffindor grin is recognizable as soon as students step away from the sorting cap. 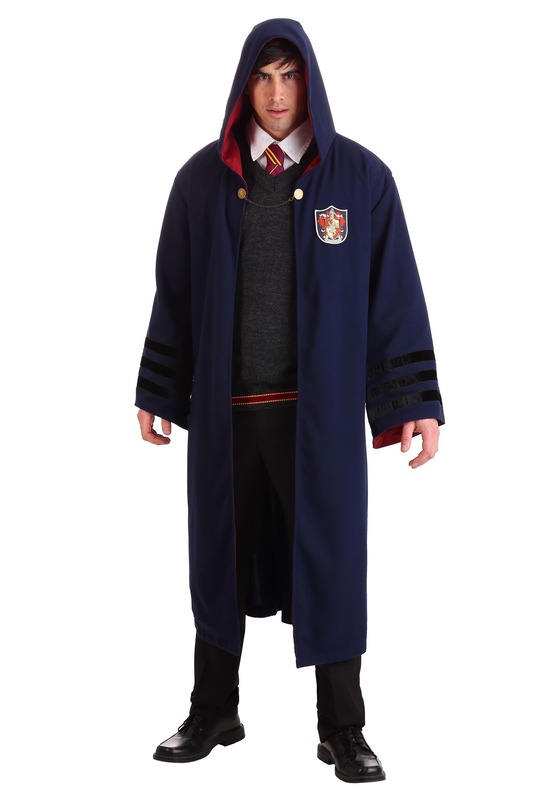 When you're heading out as a student of Gryffindor, you'll need the right robes to help you feel like the brave witches and wizards you represent. 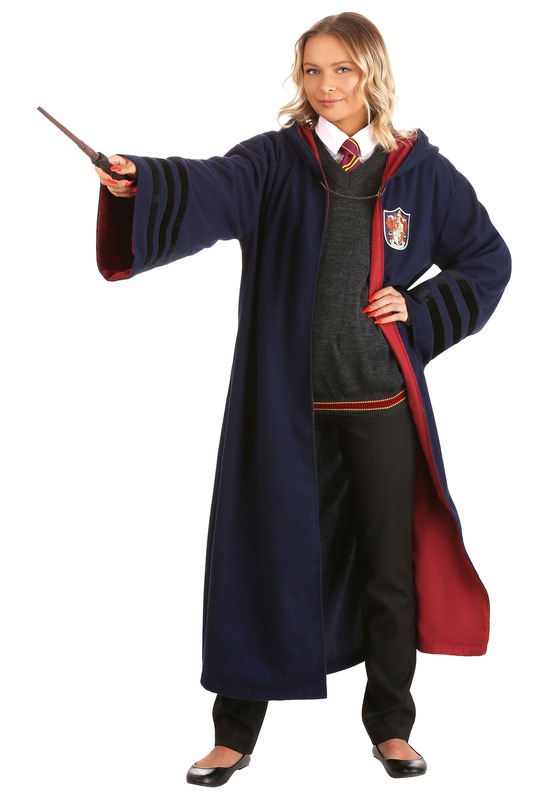 These retro robes are just the thing to make you look timeless in moving photographs and keep you warm in the draughty Hogwarts halls. 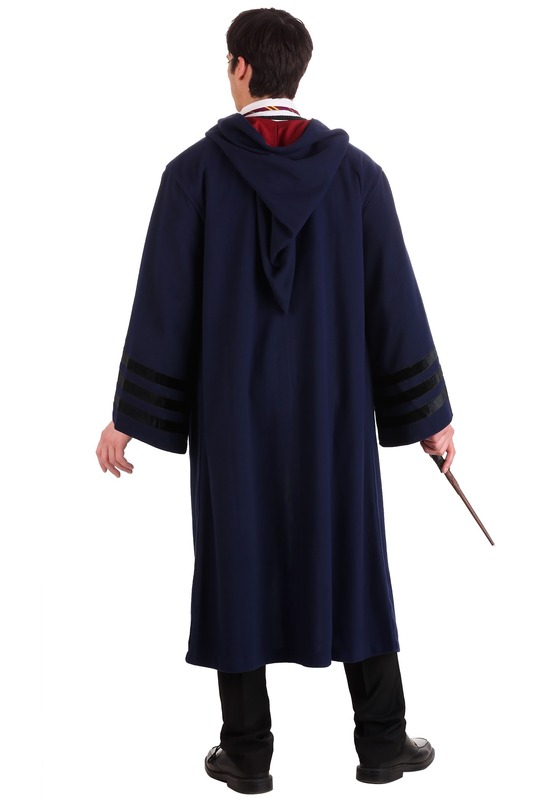 It's rich with details like the satin stripes on the sleeves, a long oversized hood, and a chain that keeps your robe on in the most dignified way. 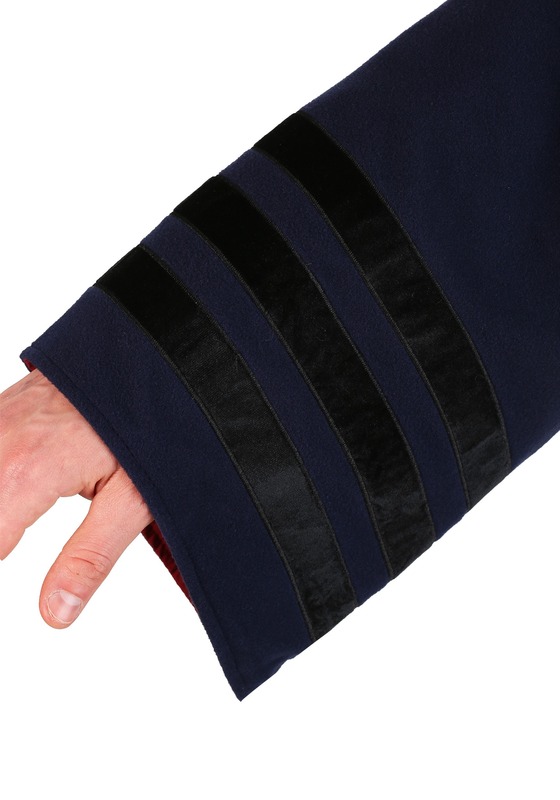 With a rich red trimming the interior and a shield on one breast, you can be proud of your uniform, no matter where you're headed! Are you ready to take on Halloween with a little more adventure? 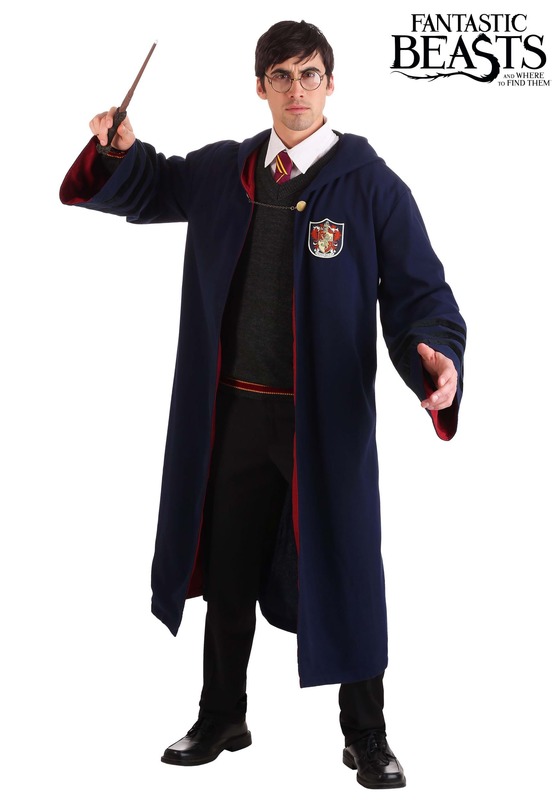 You don't need a flying broomstick, simply taking on the Gryffindor persona is sure to lead to a more adventurous night! Take a walk in a Forbidden Forest, check out your house for secret passageways. When you're a Gryffindor, you never know what'll happen!